The beauty of the sites, good temperatures all year round, soft pure water and a wind adapted to all forms of water sports, for leisure or sport, are all invitations to hoist your sails, swim or sail or go aquatic hiking. Each lake has its own charms and pleasures. From initiation to expert sport, from an outing to racing, everyone can find an activity to suit them in a sunny setting. “Here water is gold and the wind and sun reign over it”. 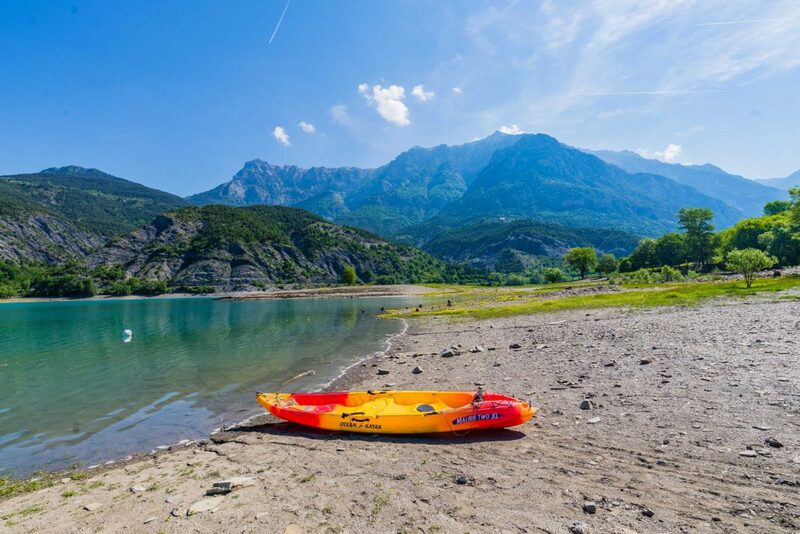 Around the beaches of Castellane, Saint-Julien-du-Verdon and Saint-André-les-Alpes, there are a number of water sports such as supervised swimming, canoeing and kayaking, windsurfing, water skiing, power boating, pedal boat. 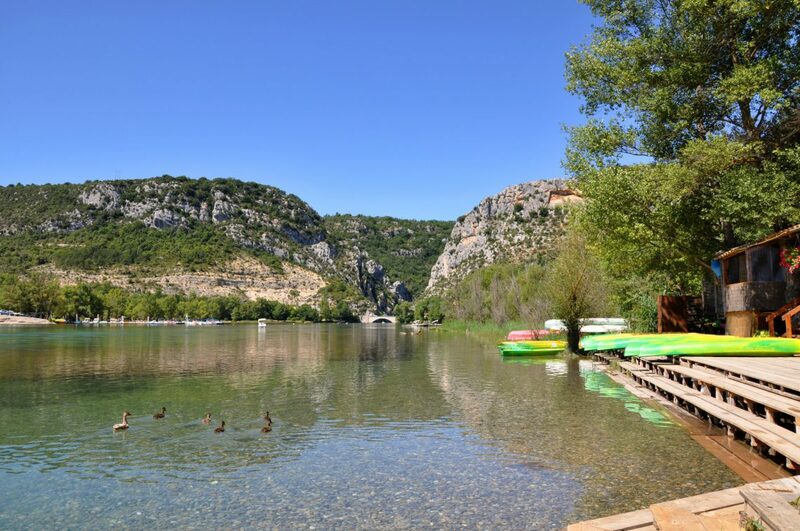 It is the only lake on the Verdon where motorized navigation is authorized on certain parts. 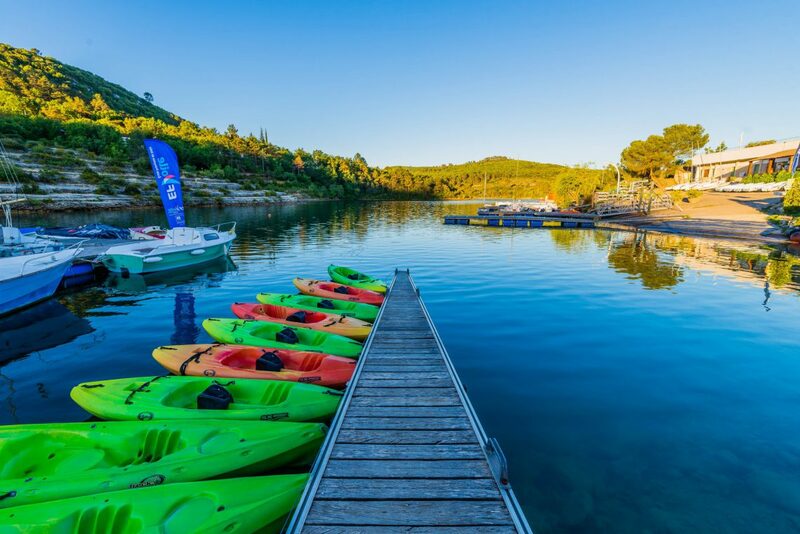 In unspoiled scenery, the biggest of the Verdon lakes is the ideal spot for water sports (sailing, windsurfing, canoeing and kayaking, outings on equipped boats), at the water sports bases in Sainte-Croix-du-Verdon, Moustiers-Sainte-Marie, Les Salles-sur-Verdon and Bauduen. Located at the foot of the Sainte-Croix dam, the Lake of Quinson stretches over 11 km of gorges. It is the starting point of the Basses Gorges du Verdon circuit where prehistoric times have left their mark in many unusual and mysterious caves in a wild and picturesque setting. There are several types of craft to navigate this lake: kayaks, canoes, pedal boats or electric boats. Guides will help you discover the major prehistoric site of the Verdon: the Baume Bonne cave. Lined with creeks and cliffs towering over its gorges and calm, turquoise waters, the Lake of Esparron-de-Verdon winds along the lower gorges as far as Quinson. Enjoy a swim in an extraordinarily wild setting in the warm water in summer. Located at the limit of the departments of the Hautes-Alpes and the Alpes de Haute-Provence, the Lake of Serre-Ponçon is the first artificial lake in Europe in capacity and second for its surface area. 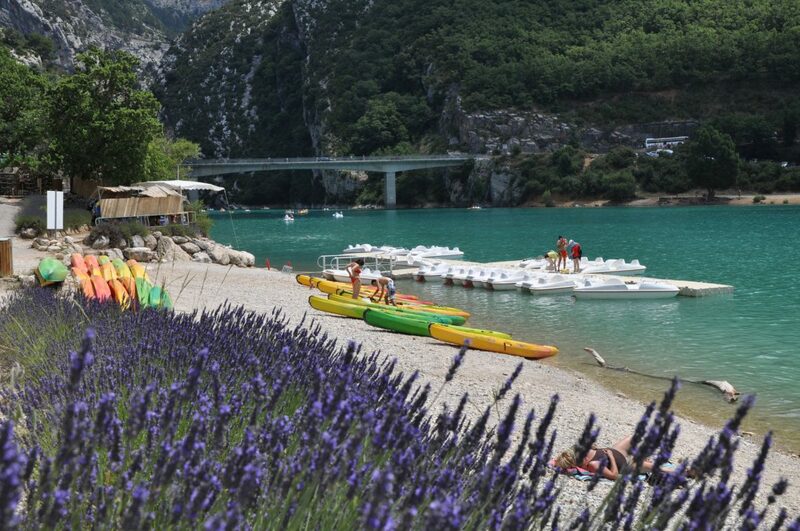 The lake, which stretches from the Durance valley to the Ubaye valley, has 80 km of monitored beaches. Motorized navigation is permitted and you can do water skiing, kite surf, tubing, jet ski, canoeing, along with fishing or quite simply swimming or take a boat ride. 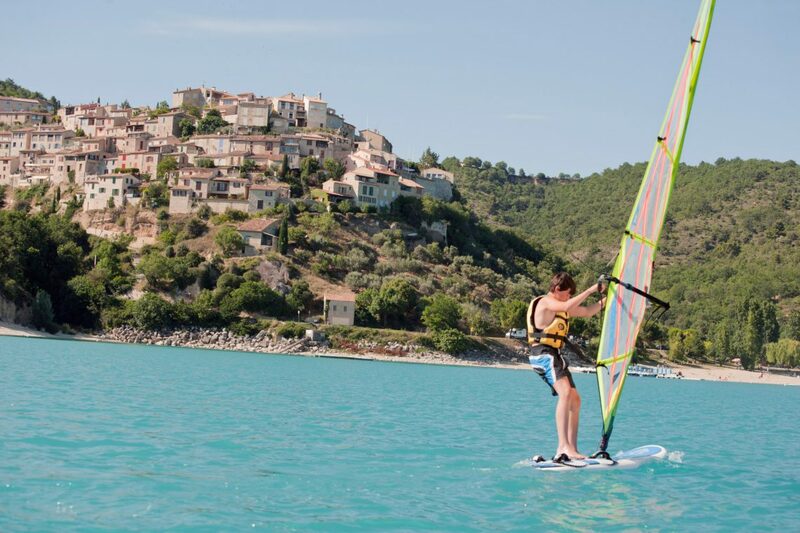 There are a number of water sports providers who hire water equipment, schools which offer courses or lessons… for water fun in an exceptional setting.